In the shadow of towering Douglas firs, two deer stop and stare at a small group of humans wandering toward them. Ninety years ago, deer like these had no place to hide. All of Heybrook Ridge was bare, and the town in the valley below was thriving. Few complained back then about the denuded hillside. Logging and the carving of granite blocks out of nearby mountains put Index on the map. The straight, fine-grained timber was the best on the market. The granite was also choice -- used to build the steps of the state Capitol. But last year, when the logging company WB Foresters proposed another clearcut on the ridge, town folk rallied against the idea. We've temporarily turned comment authentication on to try to stop a spam attack. We'll turn it back off as soon as we think it's safe. Does the noise of angels bother satan? Teenagers in a southeast Texas county were more likely to smoke cigarettes if they or their family members were affected by Hurricanes Katrina or Rita, according to a university study. Almost 38 percent of students who reported they had a family member hurt or killed in the 2005 hurricanes also reported that they now were smoking, according to the study. In comparison, 13 percent who did not endure a death or injury in the family said they smoked. I'm not going to question the link, because I'm sure there is one. But I do wonder whether the the study controls for other possible traits that might be correlated with hurricane injury risk and smoking. In an extraordinary outburst aimed at America's failure to tackle global warming, Al Gore says that if scientific agreement on the climate crisis had been reached sooner it would have been easier to "galvanise the public and persuade Congress to act". The failed presidential candidate claims that the stronger scientific consensus he knew was about to emerge meant "we in the US were about to shift into high gear in addressing the climate crisis". Mr Gore argues that if he had made it to the White House, he would have been able to use the office as a "bully pulpit" to achieve change. I'm not sure which is worse--the agenda driven Gore, or the agenda driven writer. THE pressure for political action on climate change has never looked stronger. Even George Bush has now joined the leaders of other rich countries in their quest to negotiate a successor regime to the Kyoto protocol, the treaty on curbing greenhouse gases that expires in 2012. Too bad, then, that politicians seem set on a second-best route to a greener world. That is the path of cap-and-trade, where the quantity of emissions is limited (the cap) and the right to emit is distributed through a system of tradable permits. The original Kyoto treaty set up such a mechanism and its signatories are keen to expand it. The main market-based alternative—a carbon tax—has virtually no political support. Too many politicians pretend that carbon taxes will hurt consumers more than a cap-and-trade scheme, even though the cost of carbon permits will be passed on to consumers just as quickly as a tax. Politicians are heading down the second-best path to combat climate change, but it may be the only one that leads anywhere. Since John and Tim haven't had the heart to ask for the keys to the blog back and I still have posting privileges here, I thought I'd take advantage [cross-posted]. Next steps after the Kyoto Protocol: formulas for quantitative emission targets, by Jeffrey Frankel, VoxEU: Quantitative emission targets for the 21st century must be set sequentially, a decade at a time, within a long-term framework. A good analogy is the GATT, which produced 50 years of trade liberalisation, the specifics of which the original signers could only have guessed. It is a sign of how resigned the world has become to an absence of enlightened leadership from the United States that some were prepared to receive positively President Bush’s new position on Global Climate Change at the recent G8 meeting in Germany. The President conceded that it is a problem that is worth addressing. It will take more than this, however, to begin genuine progress on the problem. 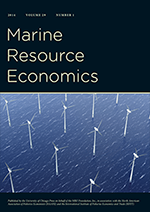 "Assessment of U.S. Cap-and-Trade Proposals"
Assessment of U.S. Cap-and-Trade Proposals, by Sergey Paltsev, John M. Reilly, Henry D. Jacoby, Angelo C. Gurgel, Gilbert E. Metcalf, Andrei P. Sokolov , and Jennifer F. Holak NBER WP 13176, June 2007 [open link]: Abstract The MIT Emissions Prediction and Policy Analysis model is applied to synthetic policies that match key attributes of a set of cap-and-trade proposals being considered by the U.S. Congress in spring 2007. Anyone who makes exaggerated claims about their pet theories, ideas, or solutions, be they mainstream or heterodox, either doesn’t know what they’re talking about, hasn’t done their homework or is trying to sell you something. “Our results SUGGEST…” is a good indicator that a person has thought hard about their subject. At least as far as these things go. A thorough method combined with some humility should invite more attention than extraordinary claims of genius. Scientific progress takes place at the margin. I think an increase in the gas tax will solve all of the world's problems (note: I'm a genius AND trying to sell you something). A while back I posted a definitive proof that all politicians are idiots. Well, they're at it again. Last night, the U.S. Senate passed a new Energy Bill. And at first glance, it contains more overwhelming evidence of the unwillingness of Congress to pay attention to basic economic principles. The Senate passed an energy bill late Thursday that includes an increase in automobile fuel economy, new laws against energy price-gouging and a requirement for huge increases in the production of ethanol. In an eleventh-hour compromise fashioned after two days of closed-door meetings, an agreement was reached to increase average fuel economy by 40 percent to 35 miles per gallon for cars, SUVs and pickup trucks by 2020. I'm not a fan of CAFE standards. I like targeting the externalities directly (through prices) rather than command and control. If I want to drive a gas guzzler that should be my prerogative, as long as I pay the full social cost of my driving--which I don't currently but that's because nobody is making me. Yeah I know it's childish. But what really scares me about this excerpt is the casual mention of "a requirement for huge increases in the production of ethanol."